Filmmakers nowadays regularly use ‘slow motion’ sequences in blockbusters to show additional details that may not be apparent when everything is happening at regular speed. Action movies in particular have become renowned for their ‘slow-mo’ shots, and if you want to achieve the same sort of effect – you can! 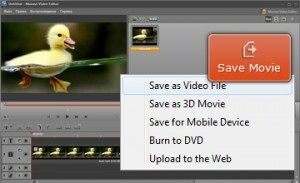 Click ‘Add Media Files’ to add the video that you wish to edit. Drag and drop the video on the Timeline. Right-click the video on the Timeline and select ‘Slow Motion’. Set the amount that you want to slow down the video by. Adjust the settings (or leave them at default if you’re unsure). The audio would have been slowed down along with your video, so if you want you can fix it by reducing the original video’s volume to zero and then dragging and dropping the video from the Media panel to the Audio Track of the Timeline. Save the video using the most suitable preset to automatically optimize it. Frankly speaking, the only part of the process that might be a little bit confusing is when it comes to adjusting the settings. In particular, you’ll find that you’re able to choose between two different ‘methods’ of slow-motion which are the Lucas-Kanade Method or the Horn-Schunck Method. Don’t worry too much about it – but if you do know what type of video card your PC is using, it is worth noting that the Horn-Schunck Method might work better for NVIDIA cards. The other setting that you may want to pay attention to is the Quality. If you want you can increase the quality, but it will take more time and resources to process the slow-motion if that is the case. If you’ve never tried using slow motion video in the past it may be worth experimenting a few times to see how much you want to slow it down by. If your scene involves a lot of motion you might want to add in a Motion Blur in the settings too – to convey a sense of speed despite the fact that everything has slowed down. Go ahead, try it out – you’ll see it really isn’t that hard.